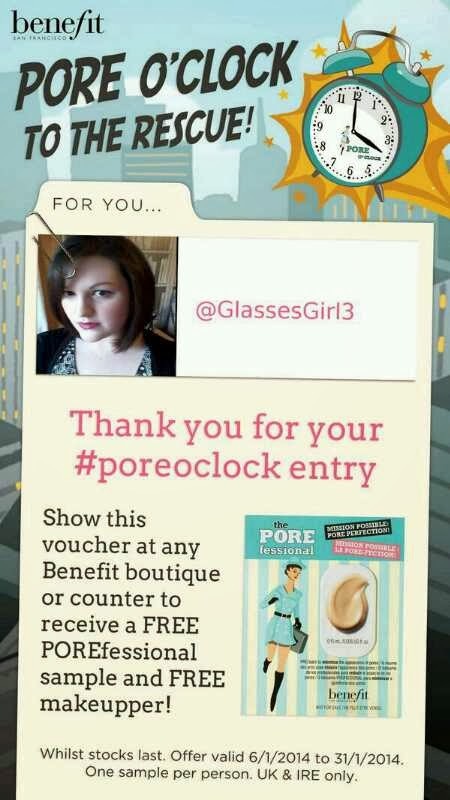 PoreOClock You may have seen the #PoreOClock hashtag around on Twitter recently and it’s a new Benefit campaign to essentially give customers a free sample of their POREfessional Primer and luckily enough for me, I tweeted with the hashtag and they replied with a lovely little voucher for me to go and get a free sample. 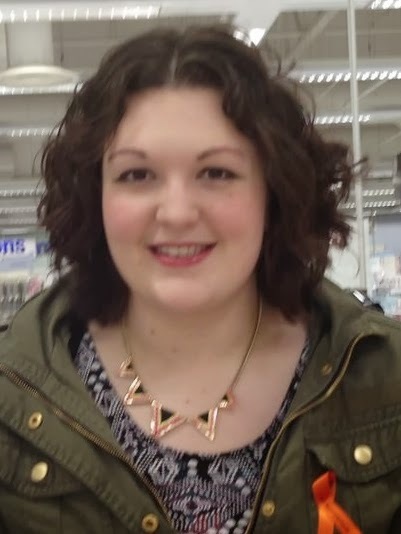 I hadn’t realised at the time that I’d be sat down for a makeover, I was expecting the standard ‘here’s your free sample and on your way’ that you’d expect from most makeup counters but oh no, I was sat down and there over an hour as Amanda who was on the Benefit counter at Boots (Monks Cross) gave me a complete makeover. The idea behind ‘Pore O' clock’ is that it’s around 4pm that women start to see a bit of shine appear on their faces and their makeup begins to show signs of having faded and Benefit Porefessional counteracts this. 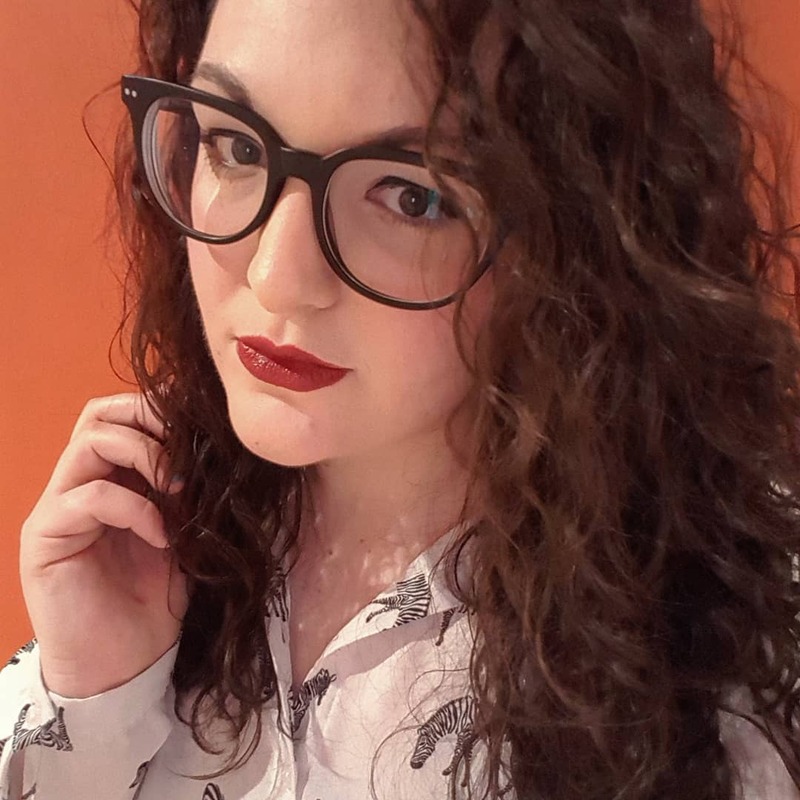 Amanda explained that it can be worn after moisturising, mixed with moisturiser or mixed with foundation depending on the look you’re going for which makes it a pretty versatile product. I’ve heard a lot about Maybelline Baby Skin vs Porefessional recently and after having both of them swatched on my hand whilst I was in Boots today, I can safely say that out of the two, I’m team Benefit – if my skin was drier I’d go with Baby Skin but I tend to prefer the matte finish that Porefessional gives. As it happens, I still have a full tube of Rimmel Fix and Perfect primer to use so I didn’t make a Porefessional purchase. Onto the makeover! I pretty much had every product possible on my face! 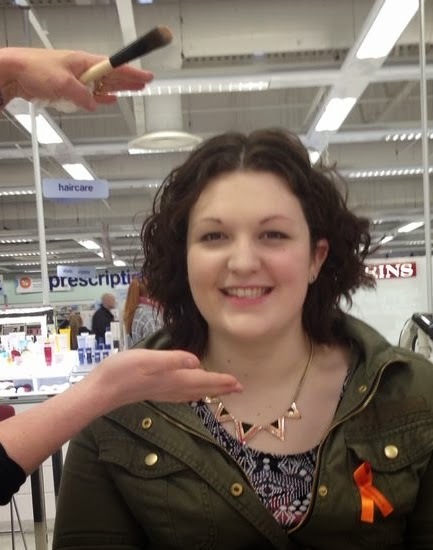 Amanda removed my makeup (scary thought in the middle of Boots on a Saturday afternoon!) and used a lovely smelling toner and then a general moisturiser and an eye moisturiser. 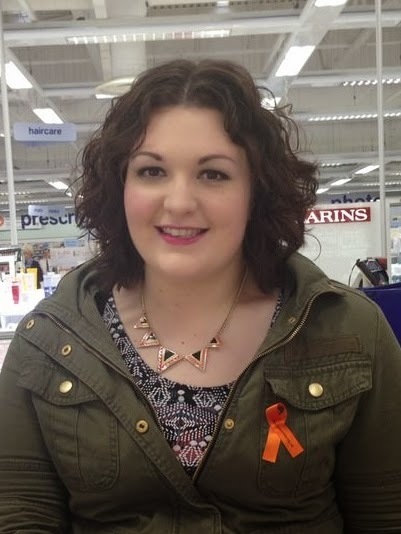 This is my 'before' photo! She then applied primer, foundation, concealer, powder and highlighter, stopping after each for me to look in the mirror (she did half of my face first so I could see the effect of each product). The main focus of the makeover was to promote not only porefessional but also ‘Lolli Tint’ which can be used as a blusher and a lip colour. I was a bit dubious at first as she put it on my cheeks mixed with highlighter but it really does give a natural glow. She them moved onto my eyes, using an eye primer, creaseless eyeshadow cream, defined my brows, applied liquid eyeliner and finally mascara. After she matched up the other half of my face, she finished my look with Lolli Tint on my lips and topped with a gloss and for someone who is a slave to red lips, I absolutely love the cute pink colour. And this is almost everything she used on me, links below. I made a couple of purchases after my makeover, I knew I just had to have a Lolli Tint of my own and I fell in love the eyeshadow cream colour so I got one of those too. Luckily for me, they had run out of the samples of Porefessional so I got some in a little pot and ended up with more of the product. Oh and I got a lolly. You can sell me anything if you give me sweets! 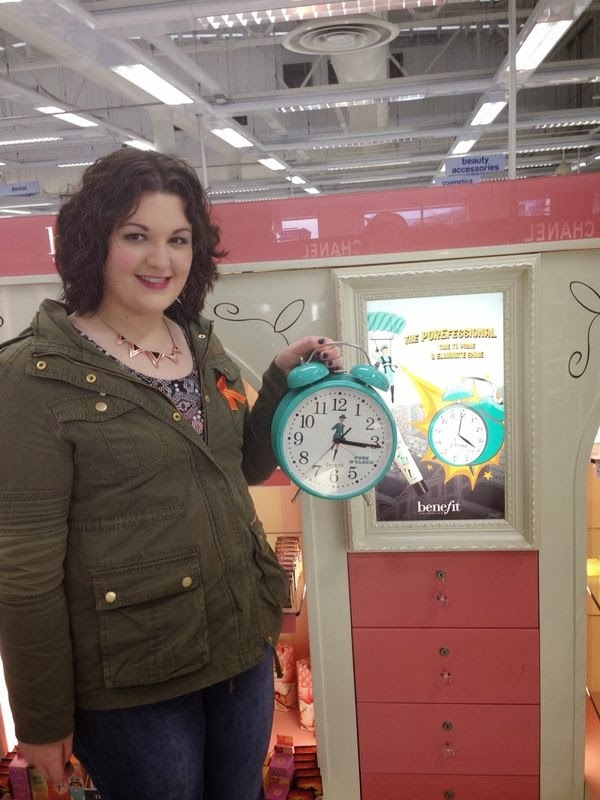 Oh and they have the #PoreOClock clock. AND I REALLY WANT ONE. 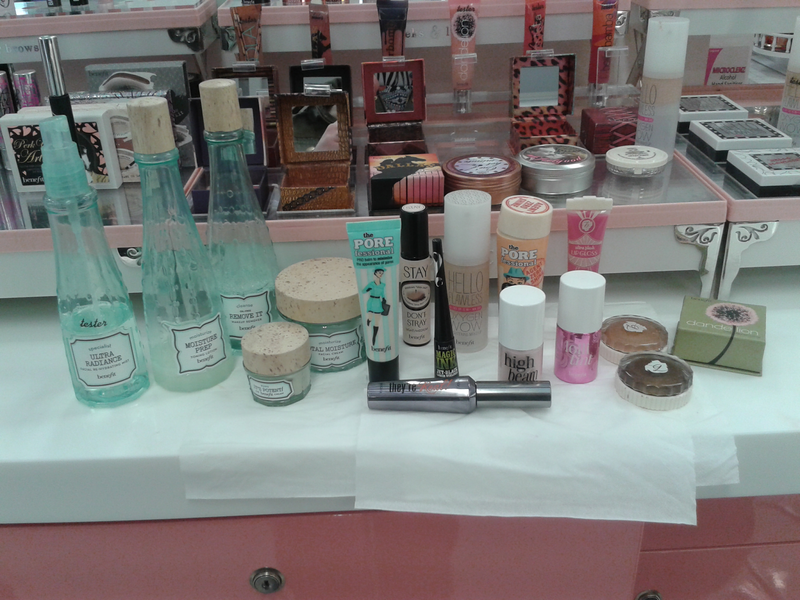 Have you had a #PoreOClock makeover? What did you think?